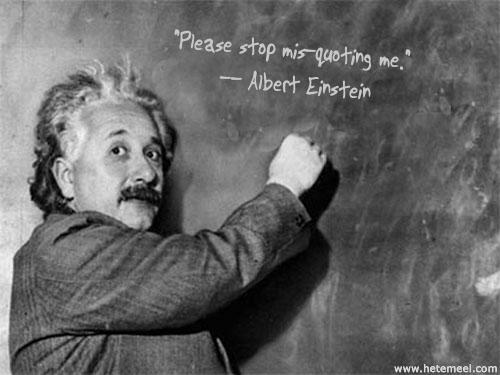 Famous Einstein quotes abound online. The only problem is – Einstein never said most of them! Below is a fun infographic of Albert Einstein quotes with the simple, yet profound, life lessons drawn from them. Then read on for more about Einstein’s life, and fake Einstein quotes! In honor of Albert Einstein’s birthday March 14 (Pi day!). Interestingly, I was able to find more definitive information on mis-attributed Einstein quotes than on ones he actually said! To my knowledge, this group of quotes attributed to Einstein have yet to be debunked. The first 6 are on the infographic. Can you imagine Einstein having no special talent? Life Lesson: Follow your curiosity. Imagination is everything. It is the preview of life’s coming attractions. Imagination is more important than knowledge. Life Lesson: Imagination is powerful. 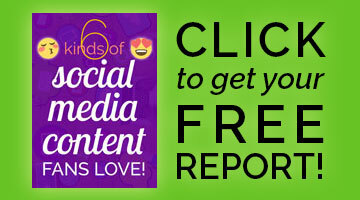 We can all use this free resource to our advantage! Life Lesson: Make mistakes. If you haven’t made a mistake lately, you’re playing it too safe! Life Lesson: Live in the moment. Make every moment count! Life Lesson: Knowledge comes from experience. Don’t just learn and think about things – try them! Life Lesson: Even brilliant minds stand on the shoulders of those who went before. Albert Einstein lived a somewhat eccentric life. He never learned how to drive a car, preferring to either ride a bicycle or to walk. He was a heavy smoker, a life member of the Montreal Pipe Smokers Club, and is said to have picked up cigarette butts off the street to get tobacco for his pipe. He was married twice, the second time to his own first cousin. He was born on March 14, 1879, in Ulm, Germany, and passed away on April 18, 1955, in Princeton, NJ. Certainly one lesson we should learn from this brilliant man is that you can’t judge by appearances. Imagine seeing a disheveled man with wild gray hair picking up cigarette butts! I doubt you’d guess that he’d become one of the most acclaimed minds of modern times. He was also known for his sense of humor. Perhaps that’s why so many satirical quotes are attributed to him. When I was young I found out that the big toe always ends up making a hole in a sock. So I stopped wearing socks. Evil is the result of what happens when man does not have God’s love present in his heart. It’s like the cold that comes when there is no heat or the darkness that comes when there is no light. I refuse to believe that God plays dice with the universe. Darn. I really liked some of those! Our thanks to MyMathDone for this brilliant infographic – and also for introducing me to the awesome anagram Albert Einstein = Ten Elite Brains. 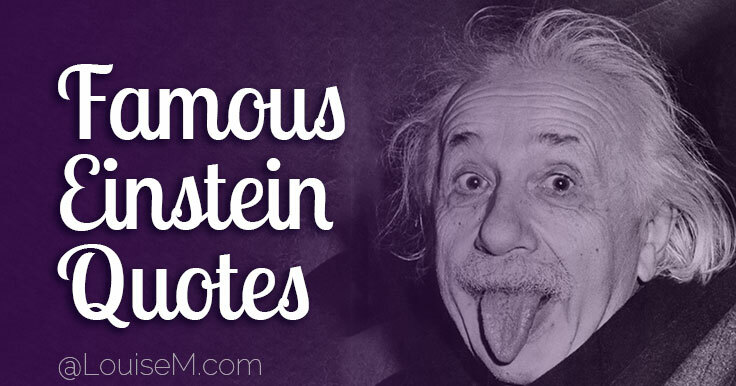 Like these famous Einstein quotes? Please share!